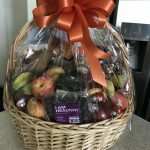 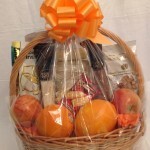 Fresh Fruit and More, For the Family is a great all occasion gift basket. 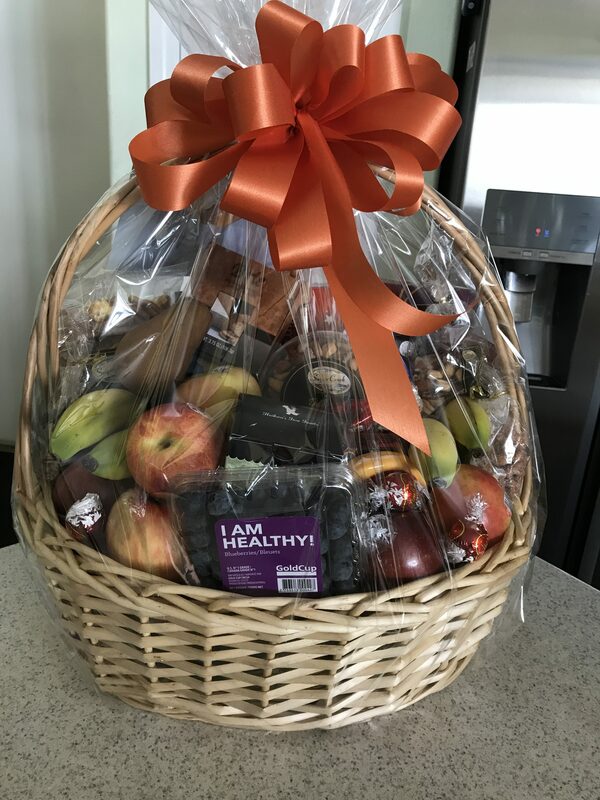 We combined healthy fresh fruit of the season with both sweet and salty treats. 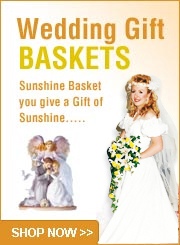 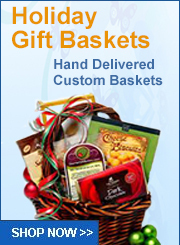 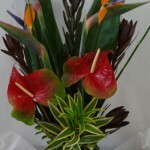 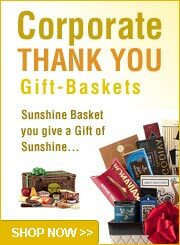 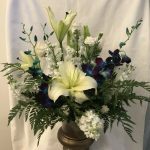 This is another unique gift basket by Sunshine Baskets & Gifts. 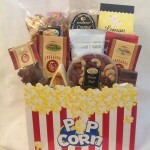 This customized gift basket contains: 4 oz crackers, 3.75 oz Brie cheese spread, 4 oz cheddar cheese, 3 different kinds of fresh apples, bananas, caramel corn/pretzel mix, 5 oz Walkers Stars buttery shortbread cookies, Wolfgang Puck coffee packet, 2 flavored cocoa packets, 4 oz assorted mixed nuts, 2 oz smoked salmon filet, 4 oz key lime shortbread cookies, 2 oz trail mix, 2 oz honey cashews, 8 oz Piroline caramelized cookies, fresh blueberries, 1 bosc pear, 2 oz sliced summer sausage, assorted chocolate truffles, snack sized candy bars, 2 pack Walkers chocolate chip cookies, 2 pack of Piroline hazelnut wafer cookies, 2 pack of Walkers buttery shortbread cookies, Jelly Belly jelly beans, jellied candies. 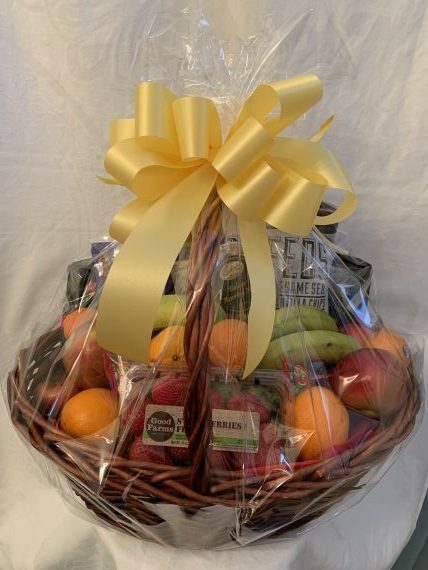 This fabulous gift basket is completed with cello wrap, a hand-tied bow, and a full-sized card to convey your personal message. 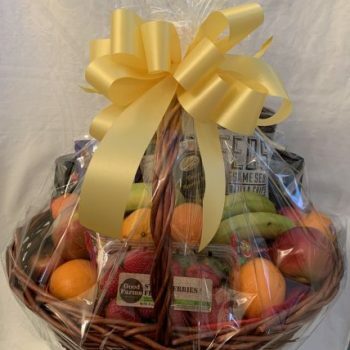 Local hand delivery only due to the fresh fruit in this basket, we cannot ship fresh fruit as it is perishable.